SQ Digital is one of the UK’s original SEO and digital marketing agencies. 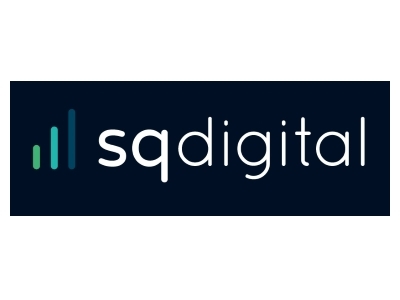 A Google Premier Partner, SQ Digital offers a comprehensive approach to providing digital marketing packages that melds award-winning creative and technical web resources, and gives you measurable tracking that records your success. Since our humble beginning, we have maintained our original clients, secured new ones, and remembered to put an emphasis on the development of our clients, campaigns, resources, teams, and individuals along the way. As a Lancashire-based business, we think that going forward, it’s all about taking the right steps to actually go forward. Our dedicated team undertake projects for a wide range of companies on a local, national, and international scale; ranging from small home start-up businesses throughout Lancashire – including Banks Lyon, Dean Group, Morecambe Metals, and ICS – to global corporations. We’re here today in part because of the great business opportunities afforded in Lancashire to all kinds of striving, ever-improving entrepreneurs and executives looking for that edge in their given industry. The heart of a successful business is about its transparency. At SQ Digital, we make it imperative that we have an open and honest relationship with every client we have. For any business in Lancashire, we would advise that overpromising and unrealistic expectation setting doesn’t torpedo any reliable services you’re attempting to market. Lancashire is a fantastic place to start, grow, develop, and expand your business. We’re living proof of this: we started as three people and a single University loan at the turn of century. Now, we’ve developed our wealth of digital marketing output, grown to over 40 employees and added a new building and several industry awards along the way. Because our company has worked regularly with sturdy, strong Lancashire businesses looking to leave an indelible mark in their fields, we’ve shown that we’re ready to stand with businesses that want to stand out in Lancashire. We believe Boost Business Lancashire has the same goals, and we’re pleased and proud to lend our support.